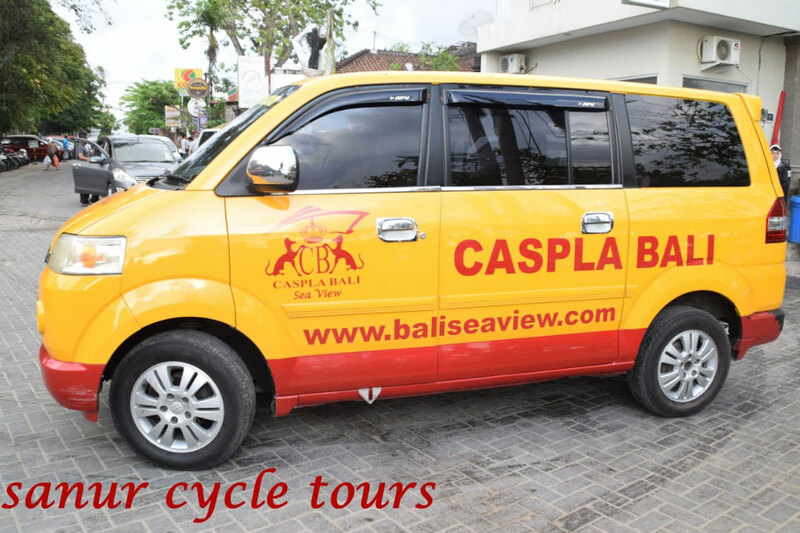 “Sanur Cycle Tours” has again ventured out and has something innovative for cycling here in Bali. 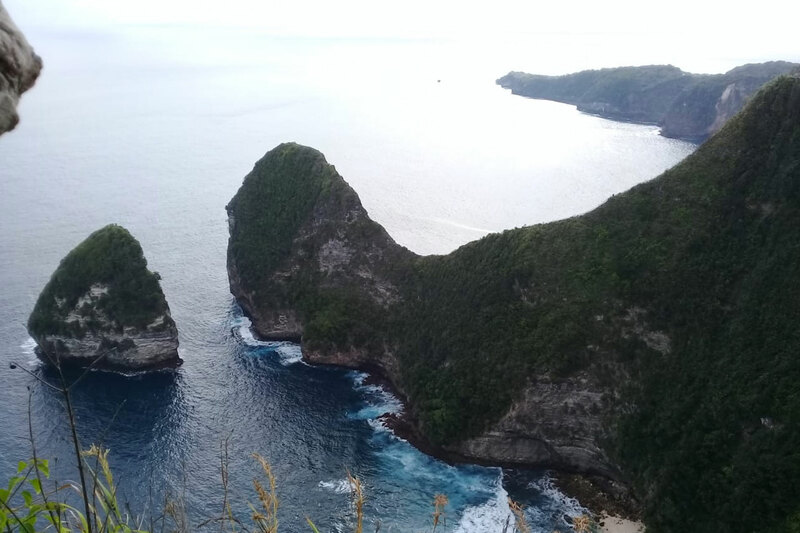 We have structured these new Cycling tours of Nusa Penida Island for people who want some adventure in their cycling & Bali holiday. SCT is the only cycling business here that can offer this tour! 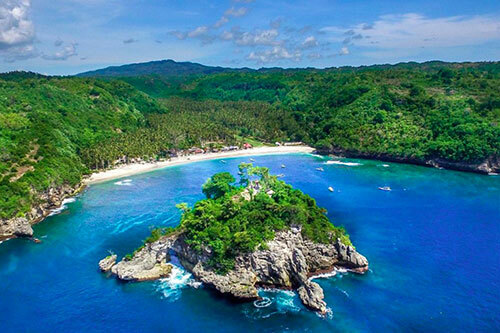 We are having a 1, 2, 4 day tour of this amazing Island as well as a 7 day tour that will include both Nusa Penida & Bali. We will pick you up from your accommodation at 05:45 am so you can cycle with one of our guides to “Booster Coffee” for a fresh cup of coffee before we cycle to Inna Grand Bali Beach hotel where you will meet the remainder of our crew. Our crew will arrange for your bicycles to be put on the fast boat for the 40-minute boat ride to Nusa Penida. Once we arrive on the Island, our guides & crew will help set you up for your 25 Km cycle ride toward Suana bay. You will enjoy breakfast on the way to Suana bay Here you will be able to swim or snorkel in the clear waters within the Bay for several hours before we cycle to Pura Goa Giri cave temple. You are able to visit the temple & our guides will carry sarongs, which you must atone prior to going inside the cave. 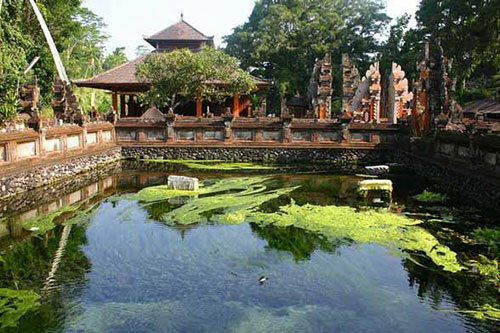 This temple is very sacred so we ask that as tourist we treat the local beliefs & culture with utmost respect. We will stop here to visit this sacred site & refreshments before we begin the ride back to the Caspla port to catch the afternoon boat back to Sanur at either 3 or 5 pm. Once we arrive back in Sanur you will again cycle back to our shop where our guides will wash & store the bicycles and our driver will take you back to your accommodation. Or if you like we can arrange good clean inexpensive accommodation for you here in Sanur. As with all of our tours. 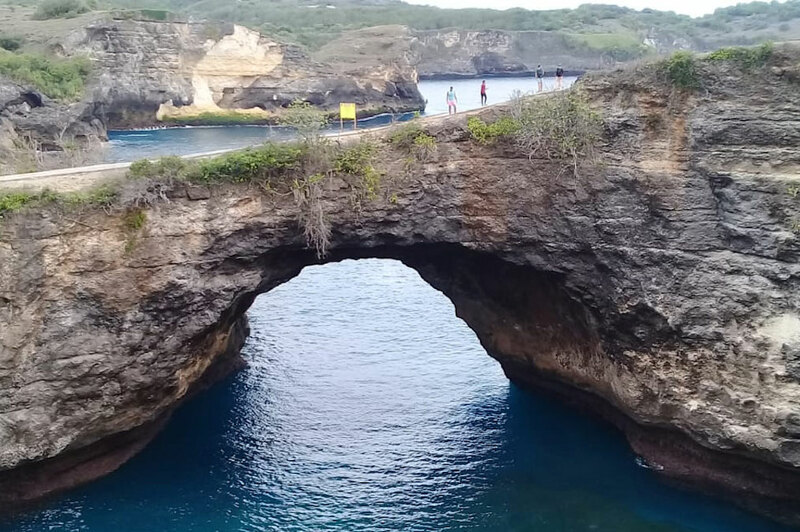 This tour of Nusa Penida is all-inclusive apart from alcoholic beverages. We hope you have enjoyed our 1-day cycling tour of Sanur & Nusa Penida. Day 1: - We will pick you up from your accommodation at 05:45 am so you can cycle with one of our guides to “Booster Coffee” for a fresh cup of coffee before we cycle to Inna Grand Bali Beach hotel where you will meet the remainder of our crew. Once we arrive on the Island, our guides & crew will help set you up for your 25 Km cycle ride to Crystal Bay After stopping at a warung for breakfast. Here you will have your lunch so you get to enjoy the lovely waters of Crystal bay for swim & or snorkel if you like before we cycle to Broken beach where we spend the night. Our crew will meet you for dinner at around 6 pm. After dinner you can retire for the night or enjoy the peacefulness there. Please be ready to leave again at 07:00 the following morning. Day 2: - Your guides & support crew will meet you at your accommodation at 06:30 after your breakfast. 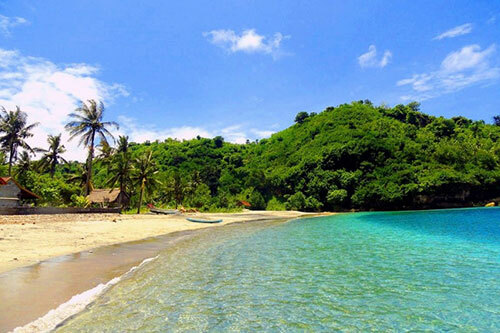 From Broken beach you will cycle together with your guides to 1st to Angel Billabong, then onto Sebuluh waterfall. After a rest stop here & morning tea, we cycle again uphill off road to reach both Klumbu & Puncak caves at 521 meters. 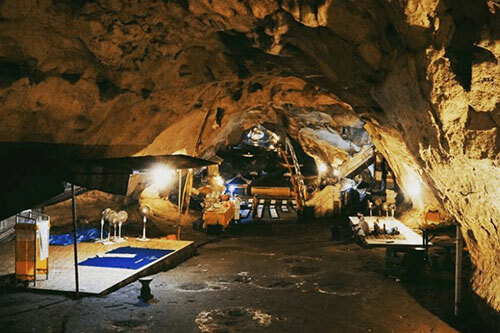 We will stop here to view the caves & have lunch before cycling down hill to the Caspla port to catch the afternoon boat back to Sanur at either 3 or 5 pm. Once we arrive back in Sanur you will again cycle back to our shop where our guides will wash & store the bicycles and our driver will take you back to your accommodation. Or if you like we can arrange good clean inexpensive accommodation for you here in Sanur. As with all of our tours. 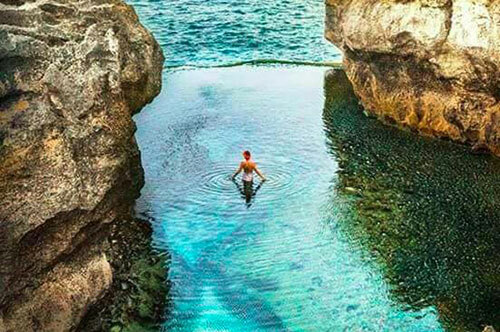 This tour of Nusa Penida is all-inclusive apart from alcoholic beverages. Day 1: - We will pick you up from your accommodation at 05:45 am so you can cycle with one of our guides to “Booster Coffee” for a fresh cup of coffee before we cycle to Inna Grand Bali Beach hotel where you will meet the remainder of our crew. 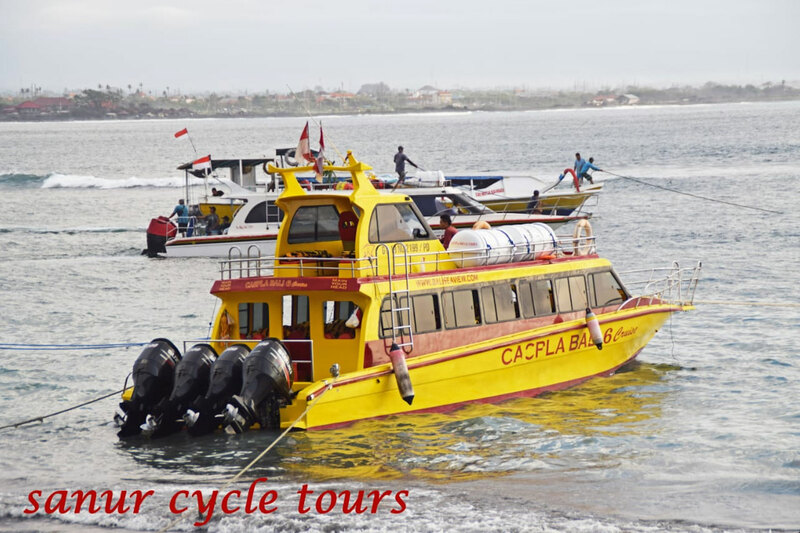 Our crew will arrange for your bicycles to be put on the fast boat for the 40-minute boat ride to Nusa Penida. Once we arrive on the Island, our guides & crew will help set you up for your 25 Km cycle ride to Crystal Bay After stopping at a warung for breakfast. Here you will have your lunch so you get to enjoy the lovely waters of Crystal bay for a swim & or to snorkel if you like before we cycle to Broken beach where we spend the night. Our crew will meet you for dinner at around 6 pm. After dinner you can retire for the night or enjoy the peacefulness there. Please be ready to leave again at 07:00 the following morning after your supplied breakfast. Day 3: - Today we will continue onto the weaving village of Tanglad where we will stop for a while. We will Iook at some of the weaving that they do here before we continue onto to Atuh Beach where we stop for a break and to enjoy the views or take a dip. We will again stay here for the night Where you can take a good rest. This gives you a chance rest your tired legs to be ready for your last day. Day 4: - We again depart by 07:00. Today is again a full day. As we leave Atuh beach, we are cycling on single track & quiet asphalt roads. After we leave here, we are cycling again northwest to Suana Bay Here you will be able to swim or snorkel in the clear waters within the Bay for several hours before we cycle to Pura Goa Giri cave temple. 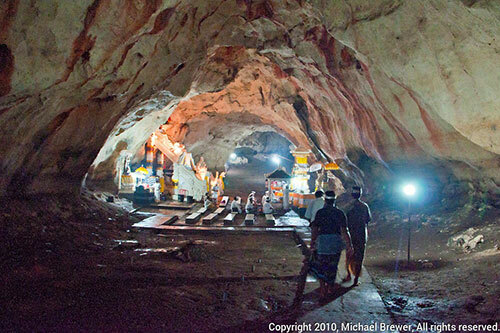 You are able to visit the temple & our guides will carry sarongs, which you must atone prior to going inside the cave. 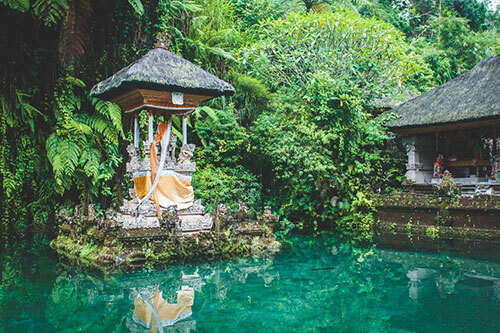 This temple is very sacred so we ask that as tourist we treat the local beliefs & culture with utmost respect. We will stop here to visit this sacred site & refreshments before we begin the ride back to the Caspla port to catch the afternoon boat back to Sanur at either 3 or 5 pm. Once we arrive back in Sanur you will again cycle back to our shop where our guides will wash & store the bicycles and our driver will take you back to your accommodation. Or if you like we can arrange good clean inexpensive accommodation for you here in Sanur. As with all of our tours. 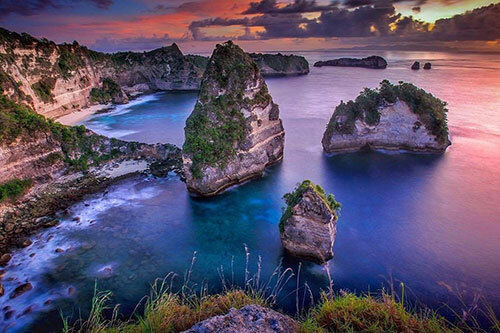 This tour of Nusa Penida is all-inclusive apart from alcoholic beverages. 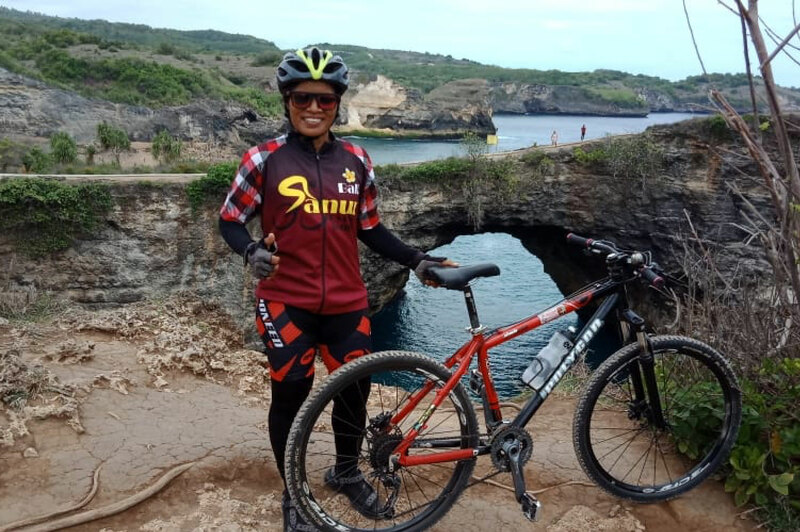 We hope you will enjoy your 4-day cycling tour of Sanur & Nusa Penida This is a real special cycle tour that no other business here in Bali has! 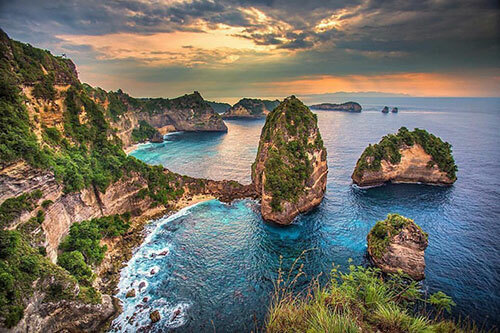 7-Day Nusa Penida/Bali cycling tour. 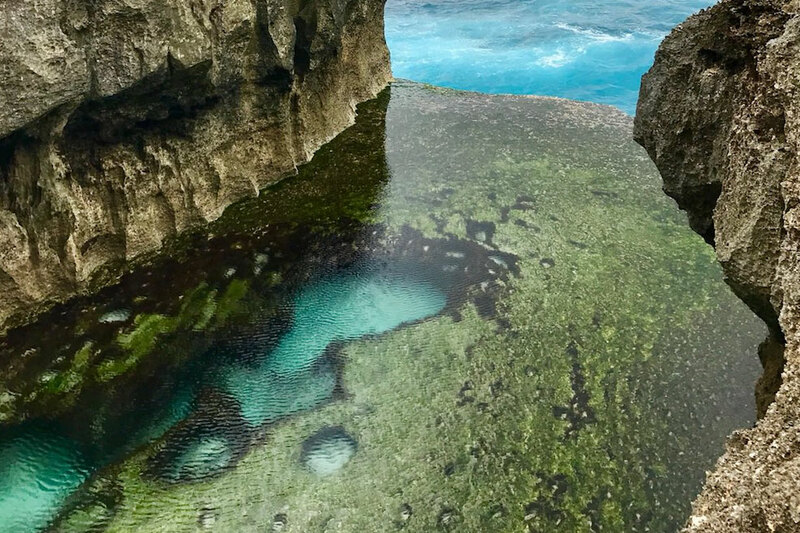 Our 7 Day Nusa Penida / Bali tour consists of our 4D/3N tour of Nusa Penida Plus after our return to Sanur we continue for 3D/3N tour of the following. After arriving back in Sanur, you will again cycle from the port back to our shop where our guides will wash & service the bicycles. Or our mechanic can do a quick tune up on your bicycle at the guesthouse. This is up you. Our driver will take you back to your supplied accommodation. Your crew will again take you for dinner as one of the great warungs we use here in Sanur (Daun Pisang or Warung Pandan). After dinner we take you back to your room for a nights rest. 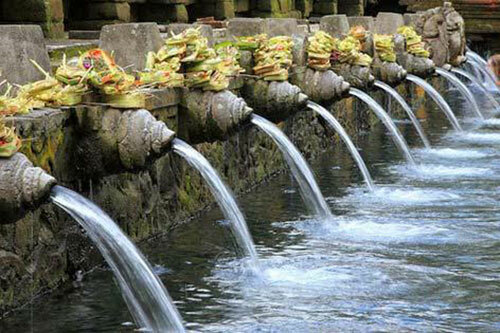 Day 5: - We will leave a little later this morning at 07:00 to cycle to Ubud where you will have your breakfast & a break before we continue on to Tampak Siering (water temple). Arriving around lunchtime, we will enjoy lunch with you then will relax & enjoy the serenity of the temple. We stay here for the night in local accommodation where our team will again take care of you. Day 6: - We arise again early morning & take our breakfast before cycling onto Bangli village. Today we will cycle through rice fields. The bamboo forest as well as visit some waterfalls& villages where you will get to meet the real Balinese country people. After arriving in Bangli. Our team will get you settled into your accommodation then you can either relax or have a massage with our own professional masseuse Yuliani for an hour. Following this you can rest until evening where you will be again taken for dinner prior to turning in for the night. Day 7: - You can sleep in a little today, as it is the last day. We will leave Bangli at 07:30 to make our way back to Ubud taking another picturesque route down hill all the way. We plan to arrive back in Sanur around lunchtime & take you for a light lunch before saying farewell to you. Our driver will then take you to your accommodation or where you would like to go. 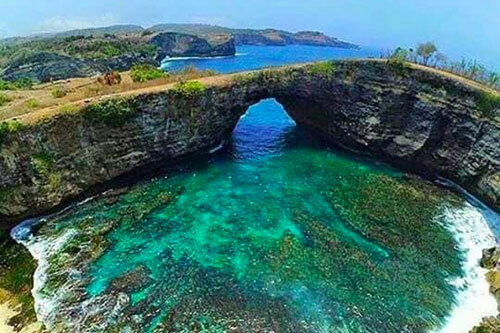 As with all of our tours.This tour of Nusa Penida is all-inclusive apart from alcoholic beverages. We hope you will enjoy your 7-day cycling tour of Nusa Penida & Bali. This is a real special cycle tour that no other business here in Bali has! Thank you for allowing us to plan your trip & for cycling with Sanur Cycle Tours. For a tour to go ahead we must have a minimum number of two (2) persons and a maximum of six (6) riders per tour.For a single rider, please contact us for the rates.